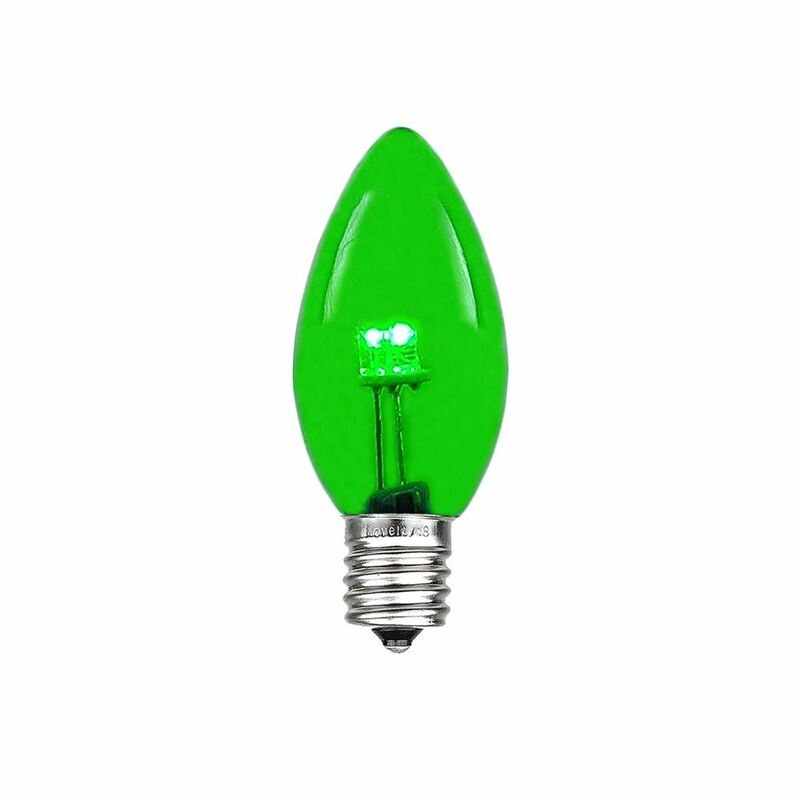 *New for 2016* Buy Novelty Lights beautuful, energy-effecient glass LED green C7 bulbs for long-lasting, vibrant, Christmas light displays. 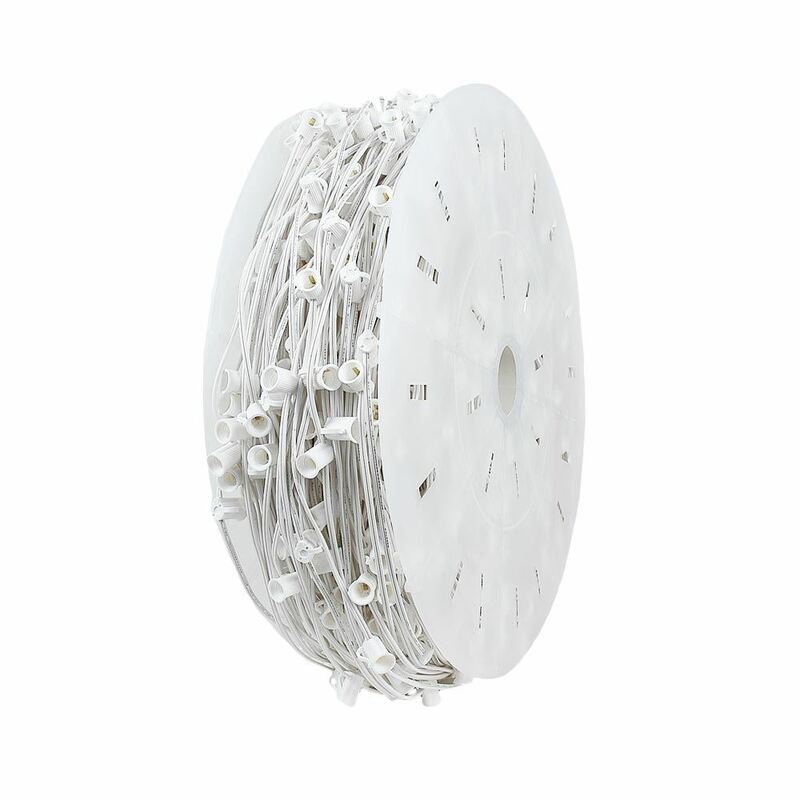 These glass LED bulbs are as versatile as they are stunning. 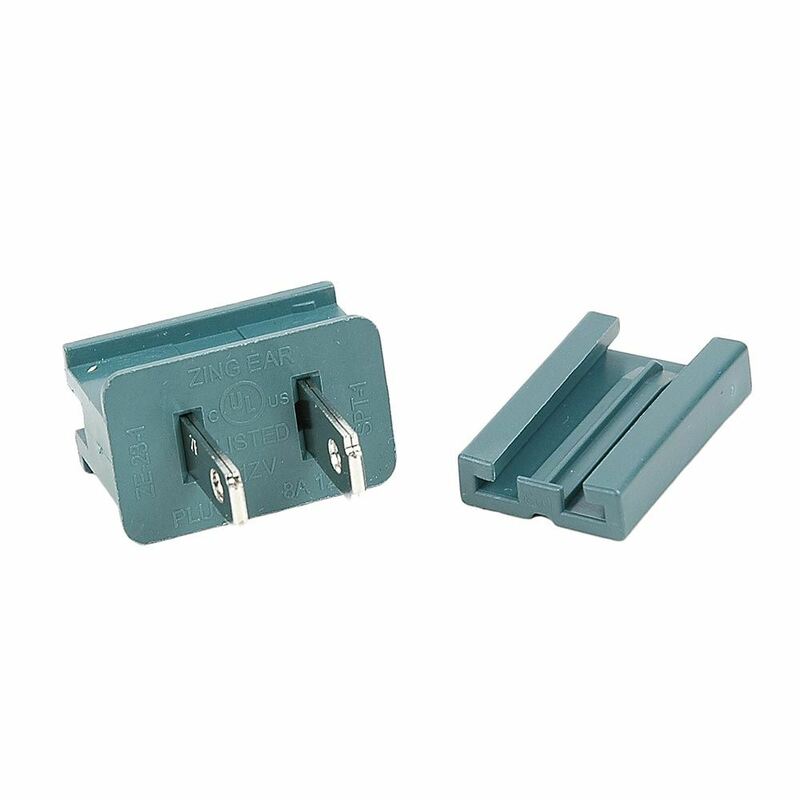 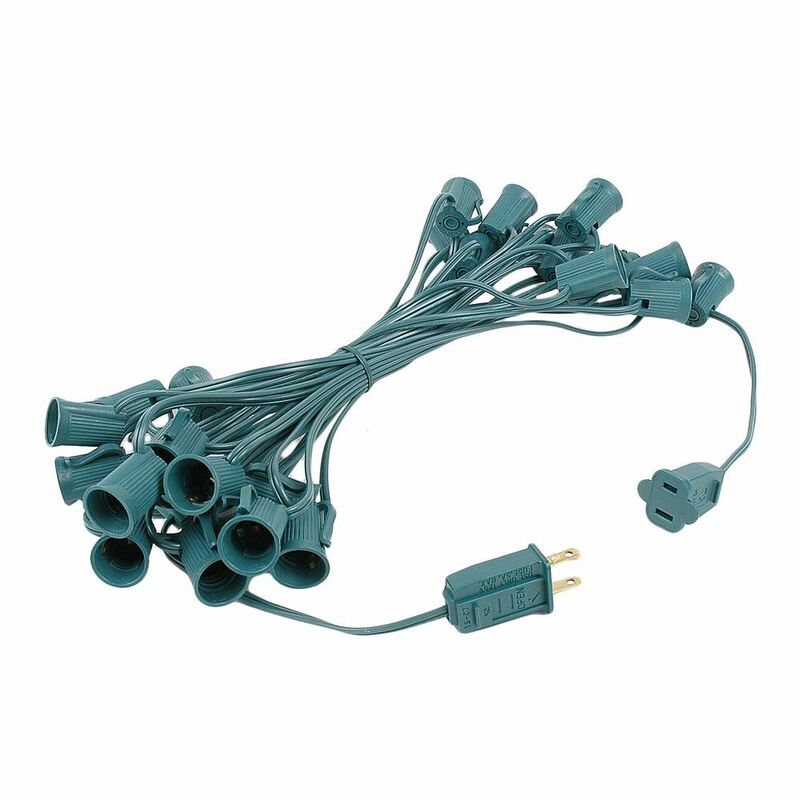 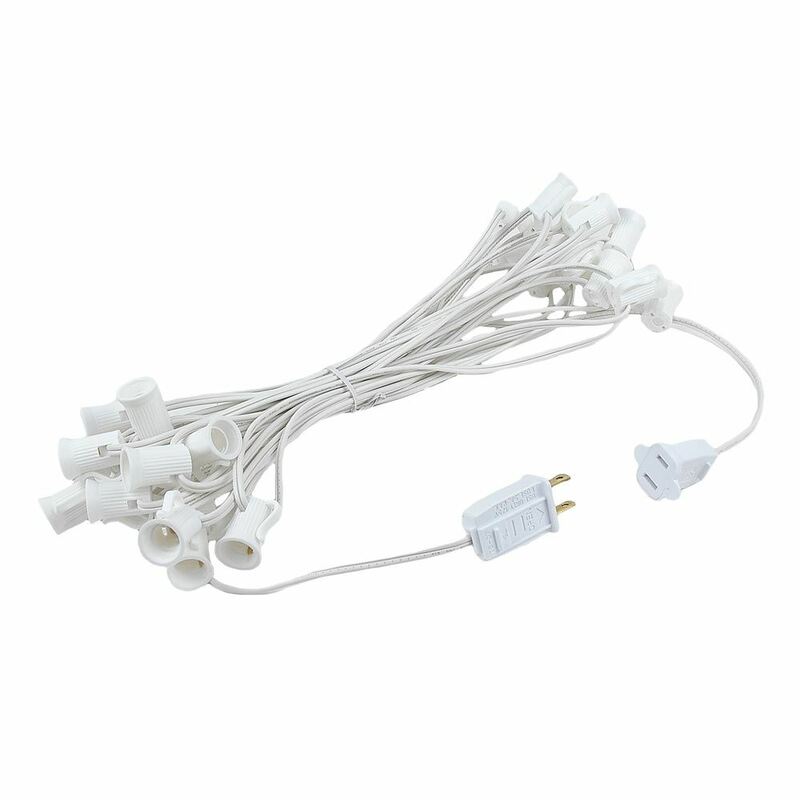 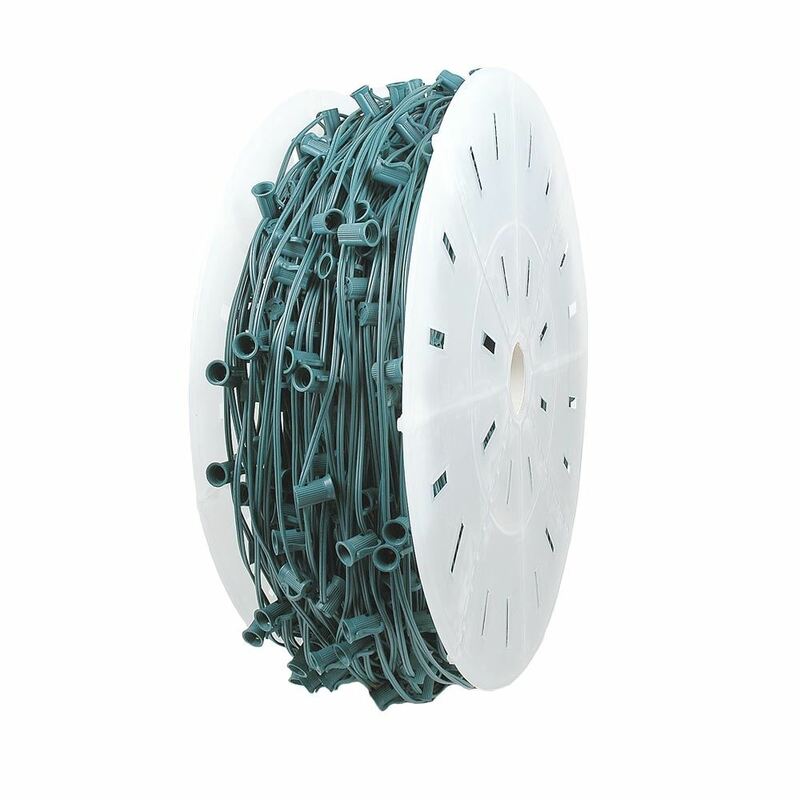 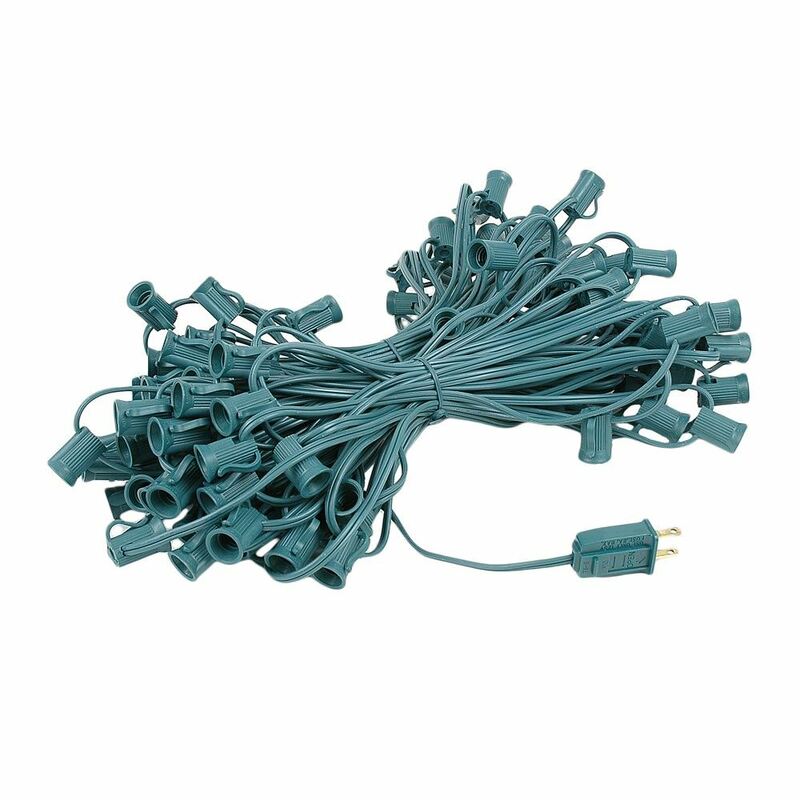 Use them as outdoor string lights or party lights in the summer and as Christmas tree lights, roofline bulbs and outdoor Christmas light displays in the winter. 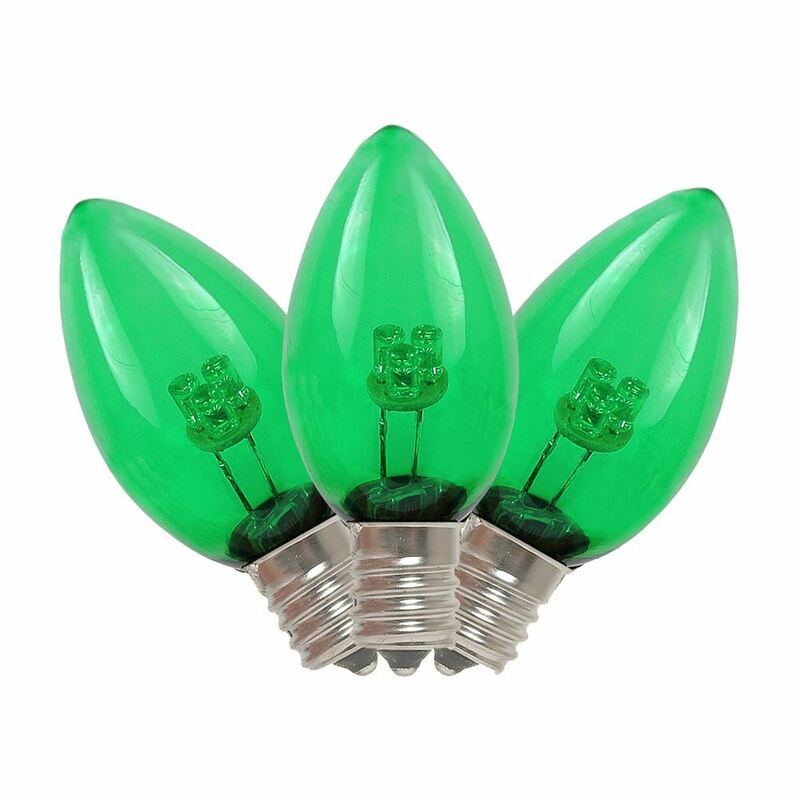 The smooth glass material of these bulbs is reminiscent of traditional incandescent Christmas lights and gives them an antique look. 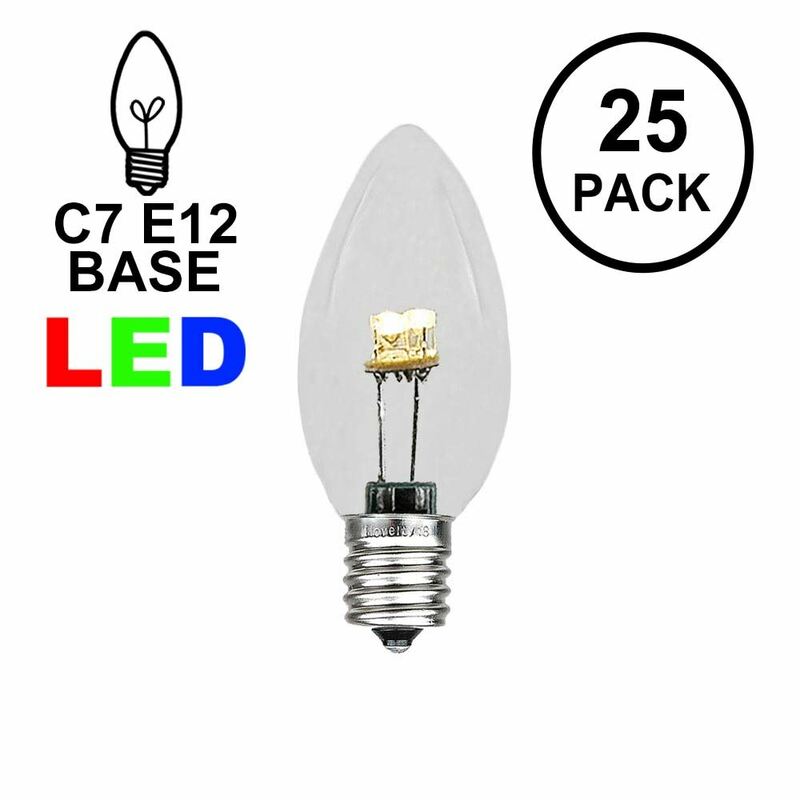 These energy efficient bulbs use 1/10 the energy of their incandescent counterparts, yet they are just as bright. 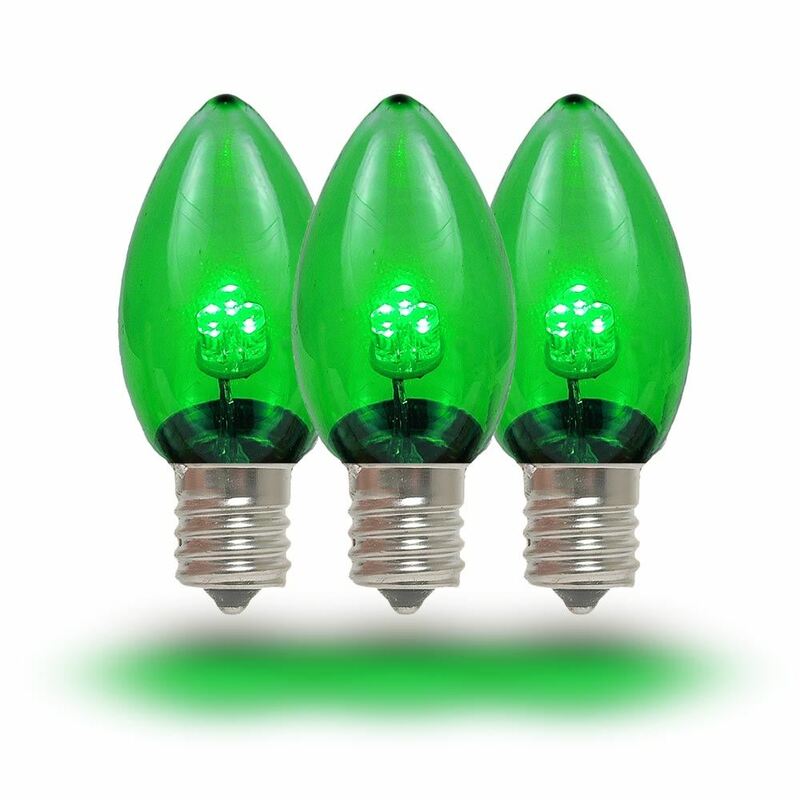 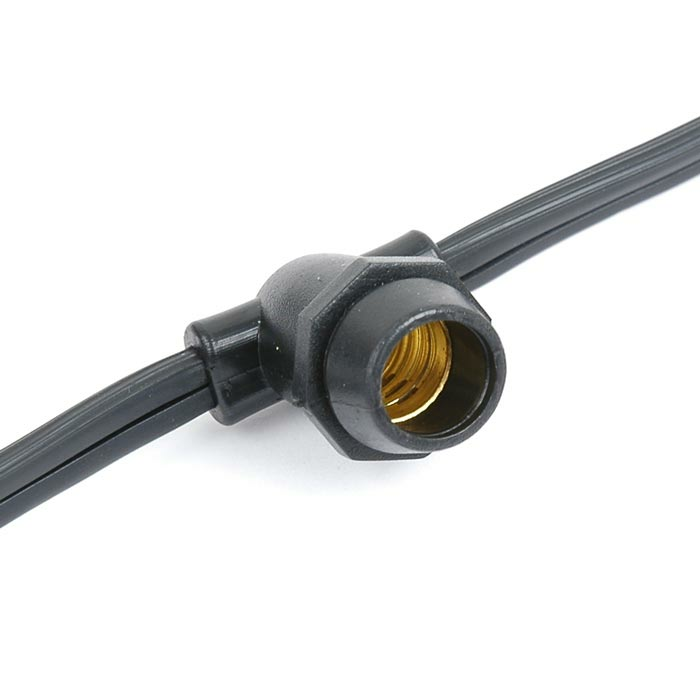 Each bulb has 3 vibrant diodes, does not produce heat, and is vibration resistant. 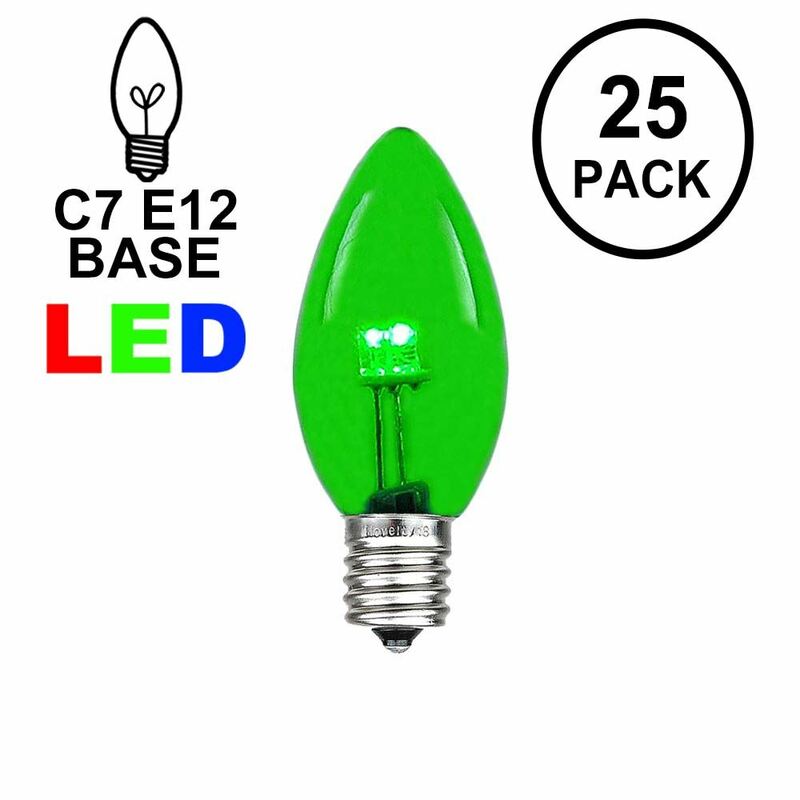 If you are using C7 LED bulbs for the first time or if you are retrofitting your old C7 strings, our glass LED C7 green Christmas lights are the stunning, smart, green, and energy-efficient solution.